Everything about the property from location to tidiness was perfect. It was my first time staying there and I’m really glad i picked it. I can say it’ll be the first on my list next time i decide to visit barcelona. Our room is newly renovated. Everything was new and clean. 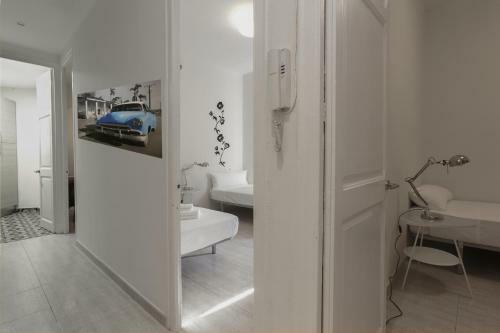 The best thing in this apartment is 3mins away from sagrada familia. I traveled together with my parents and we were satisfied with everything. The host was friendly, the apartment was prepared, cleaned. The location was easy to find. The location is great, the host were accessible and kind, very helpful. So many restaurants near by. Just the close location to Sagrada Familia and the Metro. Everything! The rooms, the facilities, the location, the accessibility to the metro, the price, the host - Paolo was very accommodating and helpful in all our queries and requests. The privacy of the apartment and the presence of a lift. I loved this apartment - nice to have three bedrooms and the large windows gave lots of light. The kitchen was nice too - kept some wine, coffee and snacks in there. There is no AC, and it can be hot in the city...but we were fine in October. 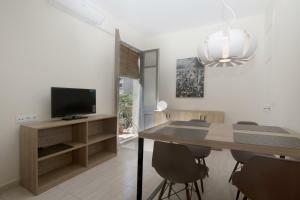 The located is amazing - 2 minute walk to Sagrada!! Lock in a great price for Centric Sagrada Familia Apartments – rated 8 by recent guests! 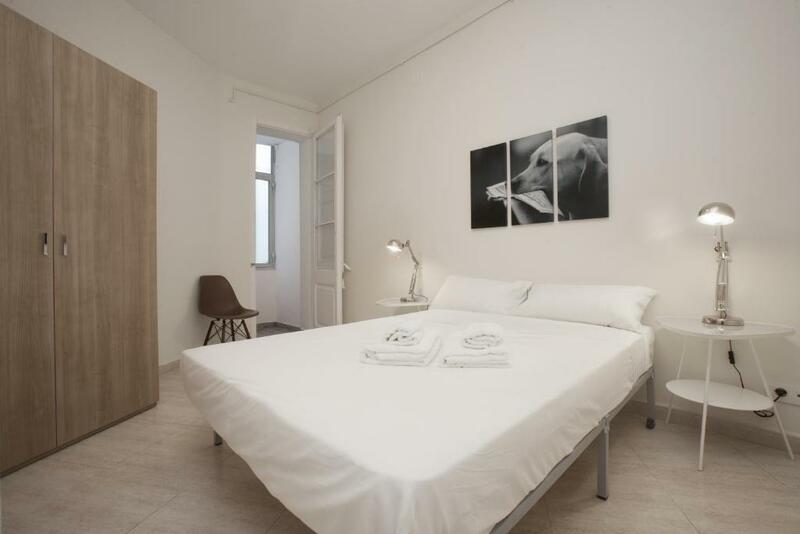 One of our top picks in Barcelona.Centric Sagrada Familia Apartments is located in Barcelona, just 450 feet from Gaudí's spectacular Sagrada Família Basilica. This modern, air-conditioned apartment features a private balcony and free WiFi. Sagrada Família Metro Station is located just 350 feet from the apartments, taking you to Passeig de Gràcia in just 3 stops. When would you like to stay at Centric Sagrada Familia Apartments? The whole bulding is destinated to tourists, our company has more than 10 years expiriance, and we try to make things esaier to our clients. Me encanta sentarme en un bar en frente de la sagrada familia y observar a los turistas pasar. Centro turístico de Barcelona, zona de muchos restaurantes y bares. 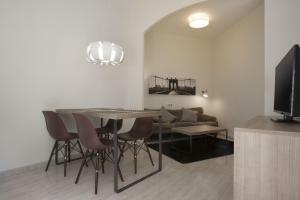 House Rules Centric Sagrada Familia Apartments takes special requests – add in the next step! Centric Sagrada Familia Apartments accepts these cards and reserves the right to temporarily hold an amount prior to arrival. Please note, a EUR 25 surcharge applies for arrivals between 21:00 and 23:00. Please note, a EUR 45 surcharge applies for arrivals after 23:00. Please inform Centric Sagrada Familia Apartments of your expected arrival time in advance. You can use the Special Requests box when booking, or contact the property directly using the contact details in your confirmation. Please note that check-in and key collection take place at: sardenya 340, barcelona 08025. Apartment is not in line with the photo on booking.com, in fact it is old and dirty, there is a terrible smell of tobacco and food inside, there is a scaffolding outside. The noise from the street makes sleeping in two rooms almost impossible. Bathroom is very small and difficult to be used by adult. There are no towels in the kitchen, no lighter (the oven is with gaz), only one big knife which is not suitable neither for cutting the bread nor for peeling fruits. Generally the level of apartment is the level of an old and dirty hostel. In the description, it is clearly said that for check-in between 21:00-23:00 there is a fee of 25 euro. One of our group landed at 19:15 at Barcelona Airport. Тhe approximate time for transportation with the subway between the airport and the city centre is around an hour. He contacted the host right upon arrival at the airport. The host advised him the wrong station to change the lines. When you hear a piece of advice from a local, it is understandable to trust him. He was rushing to meet the host and arrived at 20:57 on the address when they met. All frustrated and sweaty from the rush as he wanted to get on time (before 21:00) but he was told the wrong information and got late because of it. They went to the apartment and the host told him that he needs to pay 30 euro because of the late arrival. It was 21:02... I mean, seriously?!? The excuse of the host was that the hour on the receipt was after 21:00 and his bosses will expect him to collect the fee at that time. Also, in the description, it is said that the fee is 25 euro, but he was charged 30 euro?! The host told our friend that the fee can be refunded and I would be really glad if this refund is honoured as it is not fair to act in such a disrespectful way with your customers. Also, I just want to add for all future customers that the bath is so uncomfortable. The shower cabin is really tiny and one can hardly take a shower. The bathroom is not shown in the photos. So, I will greatly appreciate it if I am contacted by the management in order to get a refund. For all future customers, please take only the subway from the airport and check the time! Obviously, even if you arrive 3 minutes before 21:00, you are still charged the fee for the late check-in. The apartment was very clean and the location is very good. There was literally nothing to dislike. The property doesn’t mention anything about scaffolding. There is construction on the façade of the building therefore no views and a lot of dust if you open the windows. Construction workers outside the windows on weekdays as well as noise. No internet once connected to WiFi and property avoids questions regarding this, all they say is the WiFi works (which it does but with no internet access). 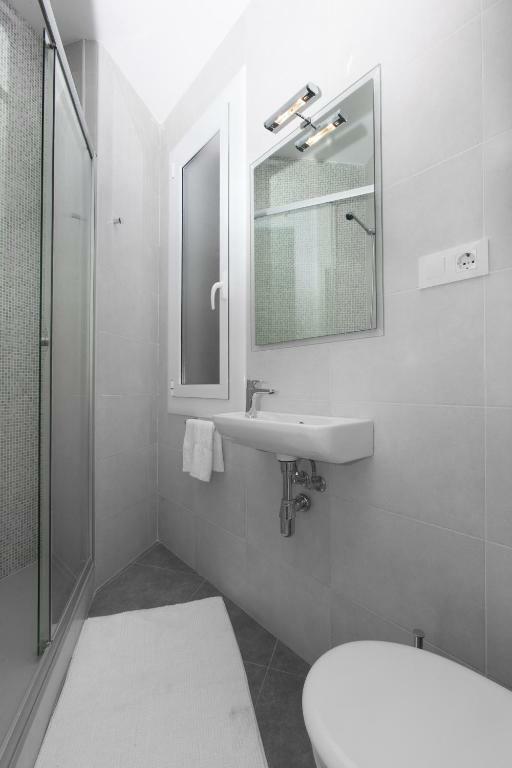 The shower is improvised into a corner in a very small bathroom meaning there is literally no space to move; if you turn you hit the valve and change temperature instantly. Host needs to be more pro active on communication especially when there is a critical need as one of the beds did not have duvet. I communicated to them by phone message and got no reply.The bathroom shower is small ,i think there was no proper thought given to layout of shower.Shower taps could have been positioned further away from standing position to allow more room.I am a 100kg active and fit man and i found it awkward to use.Anyone bigger or with a bit of a belly will struggle.The hosts could have given us prior notification that the front of building will be covered due to construction therefore no view through the windows and could not use balconies.Beside this, it makes up for location .I suggest making more accomodation comparisons. Location of apartment was great.Apartment is clean. The location is perfect and the place is great! RUDE STAFF,,SPECIALLY THE ONE WHO CALL US, TO ASK ABOUT OUR ARRIVAL TIME! OUR FLIGHT WAS DELAYED, AND THE GUY WHO CALL US,WAS ANGRY WHEN I TOLD HIM THAT OUR FLIGHT WAS DELAYED AND WE WILL ARRIVE LATE AT THE APARTMENT! SO PATHETIC!!! There’s no central heating at the apartment, so it was a bit cold in some rooms. Were slightly surprised that the building was covered with a green grid and there were standing scaffolding that covered the view from the window, and it was not possible to sit on the balcony. The interior was generally cozy. Need to meet at property, no way to have entry via code; very small bathroom and only 1 for several people (we were 4) and I have asked the property via booking to allow check-out at 12.00 instead of 11.00 as we had a very long flight. The reply was afirmative but whenarriving I was told it was 11.30 tops. The next day, the cleaning lady came in and stared cleaning at 11.18 am.